A Wheely Fun Time on the London Eye! It was JM Barrie that once said that the moment you doubt whether you can fly, you cease forever to be able to do it. Whilst Peter & Wendy started their journey from Big Ben to the second star to the right, there’s a closer option for us mere mortals to be found upon the South Bank of London. Whatever the lost boys may have thought of The London Eye, it’s true to say that it commends one of the best views of the London skyline so we’ve put together a light-hearted take on this top London attraction. 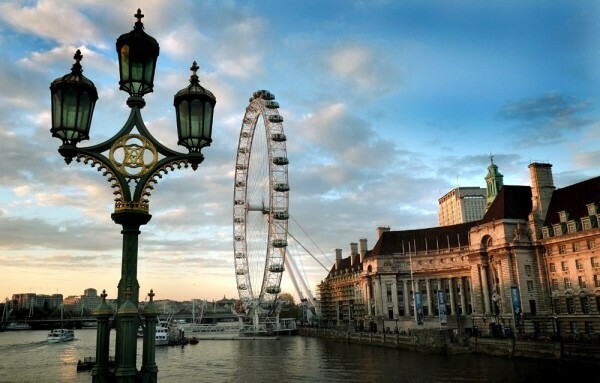 Book online at the London Eye – save up to 10% off standard price tickets plus bypass the queues at the ticket booths. If supermodel Kate Moss is anything to go by, (Kate holds the dubious honour of the most flights on the London Eye by a UK celebrity), then we’re not loosing our appetite for this giant revolving structure. Whilst most of us haven’t come close to the 25 flights that ol’ Kate has racked up since it opened back in the year 2000, its appeal continues to captivate new audiences. In fact 3.5 million people each year follow in Kate’s footsteps that makes it one of the most popular paid tourist attractions in the U.K. Originally intended as a temporary structure on the banks of the Thames, it remains a ‘must do’ for tourists visiting London. Now a permanent fixture on the London skyline, this moving platform provides an ever changing view of the London landscape during a 30 minute rotation reaching heights of 135 metres. With stunning views across the River Thames, you can discover the best of what London has to offer including the Houses of Parliament, Big Ben, Tower of London, London Bridge & St Paul’s Cathedral. On a fine day you can even see all the way to Windsor Castle some 40km away. 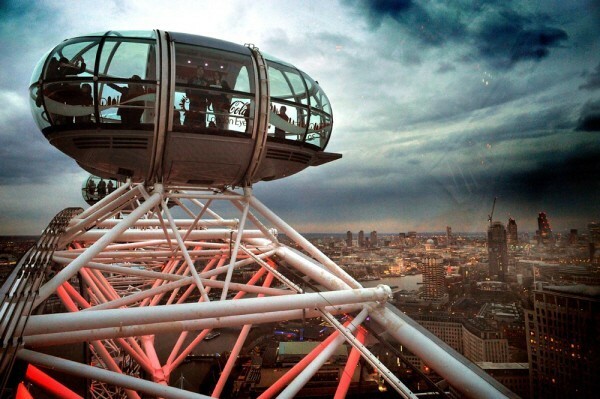 For those planing a trip on the London Eye check out our comprehensive list of London Eye deals including 2 for 1 vouchers, online promotions and combination tickets. 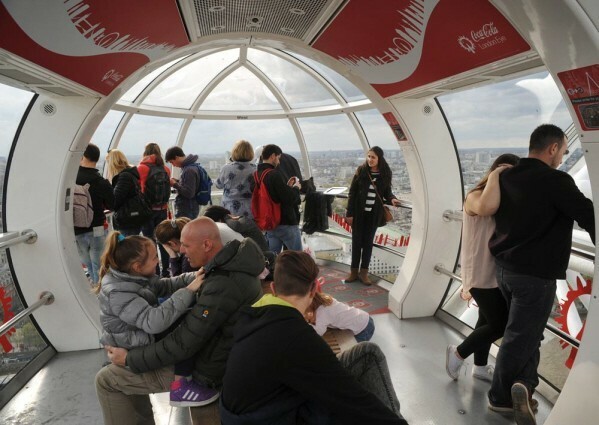 Perhaps the lesser known legacy of the London Eye that architects husband & wife David & Julia would perhaps be happy to learn, is that over 5000 people have become engaged whilst on the London Eye. Now that’s surely a happy ever after that even Peter Pan couldn’t achieve! Follow our TOP TIPS for the London Eye packed with money saving ideas & ways to beat the queues. This entry was posted on Sunday, January 1st, 2017 at 4:29 pm	and is filed under London Eye. You can follow any responses to this entry through the RSS 2.0 feed. You can skip to the end and leave a response. Pinging is currently not allowed. « How Much Should An Apple Cost At A Visitor Attraction?